WHAT: The University of Illinois Springfield presents the 8th annual Student Technology, Arts & Research Symposium (STARS). 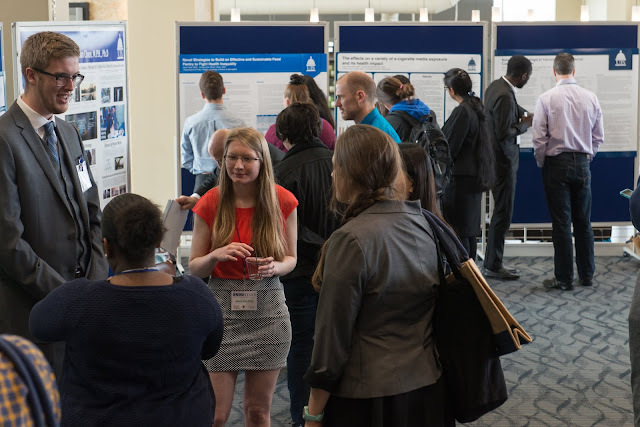 The three-day event showcases student research and creative activities during the academic year. Events are free and open to the public, unless otherwise noted. DETAILS: UIS undergraduate and graduate students will present their research and creative activities through short talks, poster presentations, art exhibitions, musical and theatrical performances. The symposium gives the community a chance to learn about the variety of work being done by students and gives businesses the opportunity to network with potential new talent. Business students will present their pitches and oral presentations starting at 4 p.m. in the Public Affairs Center. UIS faculty members Peter Boltuc (Philosophy) and Elham Khorasani Buxton (Computer Science) will present an Artificial Intelligence Workshop at 5:30 p.m. in Brookens Auditorium. Keynote Speaker David Gunkel, a professor at Northern Illinois University, will speak at 6 p.m. in Brookens Auditorium on “How to Survive the Robot Apocalypse.” Gunkel is an award-winning educator and scholar, specializing in the philosophy of technology with a particular focus on information & communication technology. The Launch of the “Alchemist Review”, a literary journal, takes place in Brookens Auditorium at 5 p.m.
Amina Gautier, author of three short story collections and winner of the Flannery O’Connor Award, will be reading her fiction work at 6 p.m. in Brookens Auditorium. UIS Theatre, in the Dept. of Art, Music, and Theatre, presents “Dead Man’s Cell Phone,” a play by Sarah Ruhl, at 7:30 p.m., in the Studio Theatre, followed by a talk-back at approximately 9:30 p.m. Ticket prices are $14 for adults, $12 for senior citizens (65 or older with a picture I.D. ), $10 for UIS faculty/staff, $8 for UIS students (and all other college-level students). Purchase tickets by calling 217/206-PLAY (7529) or visit www.uis.edu/theatre. Student oral presentations will take place from 9 to 11 a.m. in the Student Union second floor conference rooms. Art and poster sessions will take place from 11 a.m. to 12:30 p.m. in the Student Union pre-function area. A UIS Music Recital, featuring the UIS Jazz Band, will close out the symposium at 1 p.m. in the Student Union Ballroom. For the full STARS schedule, visit http://go.uis.edu/stars/. Questions may be directed to Tammy Craig at 217/206-8379 or STARSymposium@uis.edu.